Delightful! Wish I had thought of this. Easy to add personal touches including treats and photos. What a great sharing idea. I love this book. This is such a fun, interactive book. 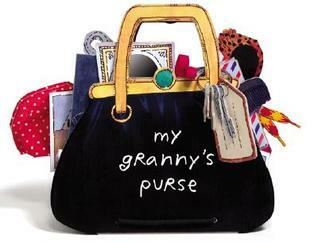 You can go through Granny's purse and take out and look at lots of items. Great for sitting in church! So cute. I found it at DI and fixed it up a bit. Lots to do with a decent story, too.